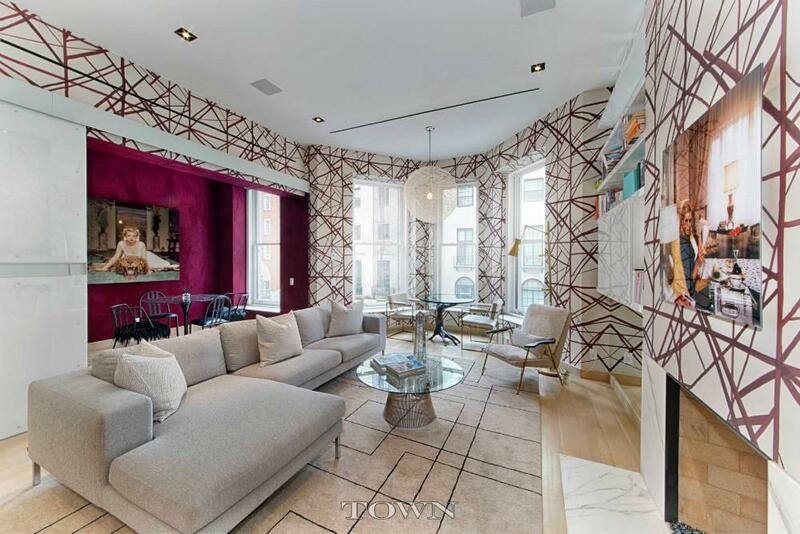 Where to begin with this Upper East Side townhouse at 18 East 69th Street? 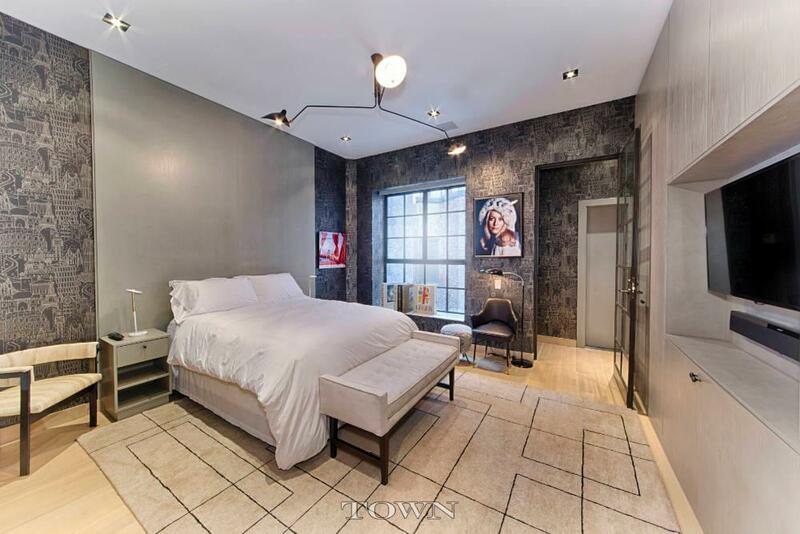 There’s the Chanel-inspired bathrooms, an impressive variety of wallpaper, and a bathtub in a bedroom. 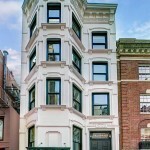 There’s the sheer size of the property, which holds a two-story retail space, a penthouse apartment, and another duplex. Then, of course, there’s the price, which comes in at $26 million. It’s hard to keep track of everything going on at this property, but one thing’s for sure–we’ve never seen anything like it before. 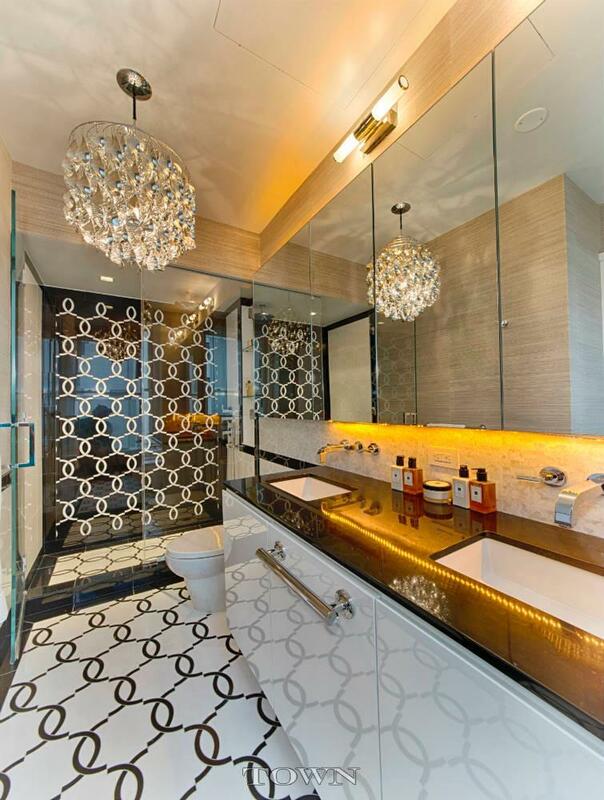 Let’s start with the Chanel-inspired bathroom. 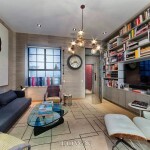 There are actually two in the building — one is part of the two-bedroom, two-bathroom, 1,468-square-foot penthouse, with another Chanel bathroom in the 2,028-square-foot duplex. (In the penthouse apartment, there’s also a skylight in the shower.) 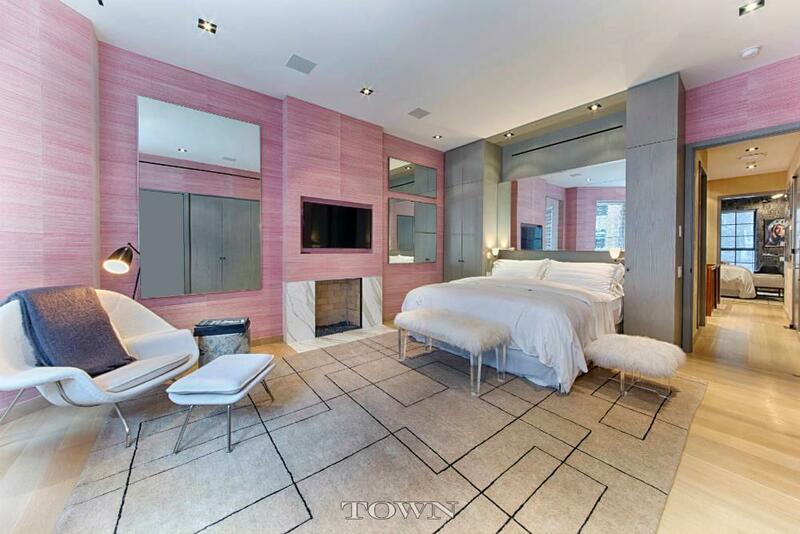 The Chanel design is hard to miss, dominating both the floor and shower space. It’s all topped off by a shimmery chandelier. 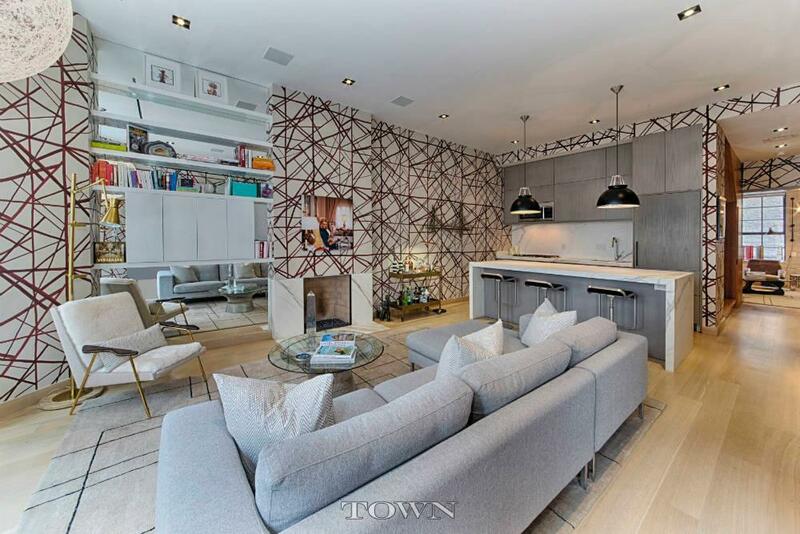 The entire building is full of kooky interior design–as the listing calls it, a “masterful mix of bold prints, textured materials, and compelling fixtures.” The current owner gut renovated and designed the property during a period of two years. 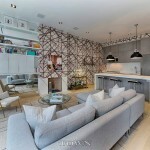 They also specifically picked the furniture to compliment the different backdrops, which a buyer could purchase with the rest of the property. No word on how much that would increase the $26 million price tag, though. There’s also a bathtub smack dab in the middle of the bedroom of the duplex unit. 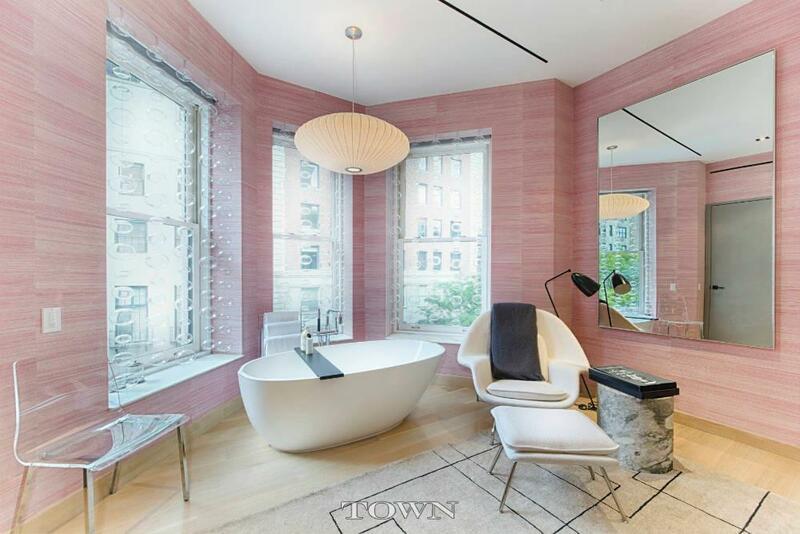 That means you can enjoy views of Central Park, Madison Avenue, and lots of pink wallpaper while taking a soak. Indeed, this building is a mere half block away from Central Park, and all the rooms facing 69th Street come with a view of the park. There’s also a finished roof deck (not pictured) that we’re sure boasts more great views. At this point, we’re not sure what’s more compelling… the view of the park or the view inside this wacky home. What do you think?